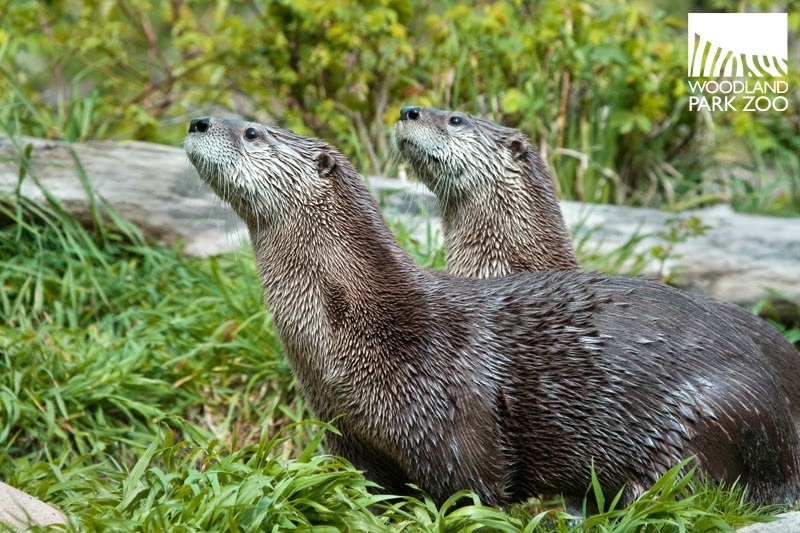 Sunny the otter (foreground) with her mate, Duncan. Photo by Dennis Dow/Woodland Park Zoo. For the past couple of decades, a female river otter named Salishan enchanted visitors with her energetic diving, gliding and cuteness. Now we say goodbye to the otter keepers fondly called "Sunny." Sunny was humanely euthanized today at the age of 19 following a period of declining health and lethargy. 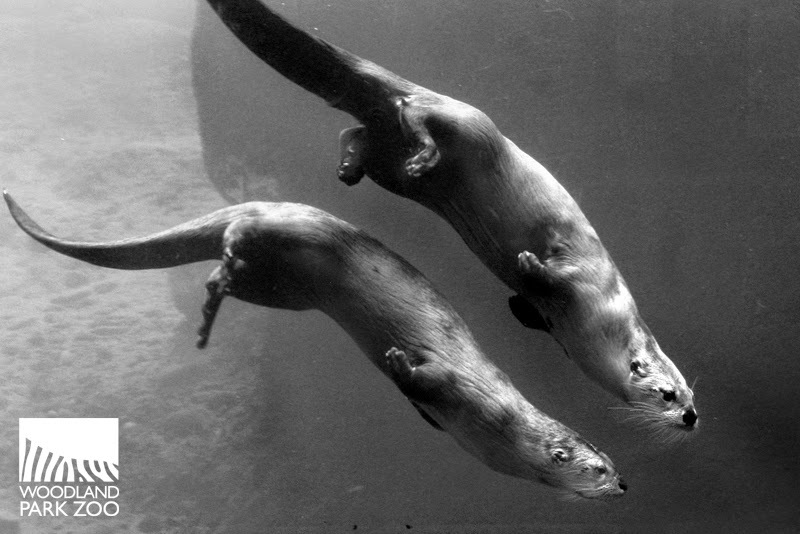 River otters live 8 to 10 years in the wild and 18 to 20 years in zoos. The zoo’s consulting veterinary cardiologist, Dr. Jerry Woodfield with Northwest Cardiology Consultants, diagnosed the otter a year ago with age-related congestive heart failure. She was given a prognosis of three to six months to live but survived another 12 months. Salishan and her brother were rescued on Bainbridge Island after being observed without a mother and arrived at Woodland Park Zoo in 1996 at approximately 2 months old. A second grade class at North Beach Elementary named the siblings through a naming contest. 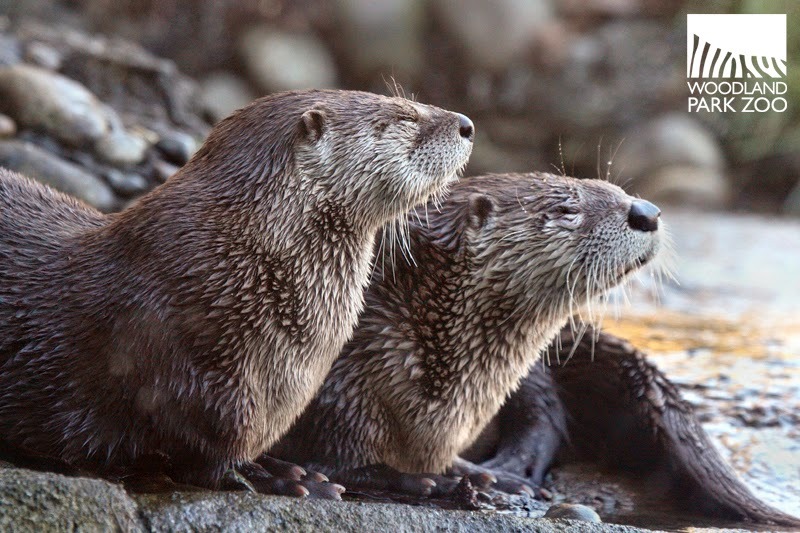 All otter species are considered threatened while five of the 13 species are endangered due to water pollution, overfishing of commercial stock and habitat destruction. 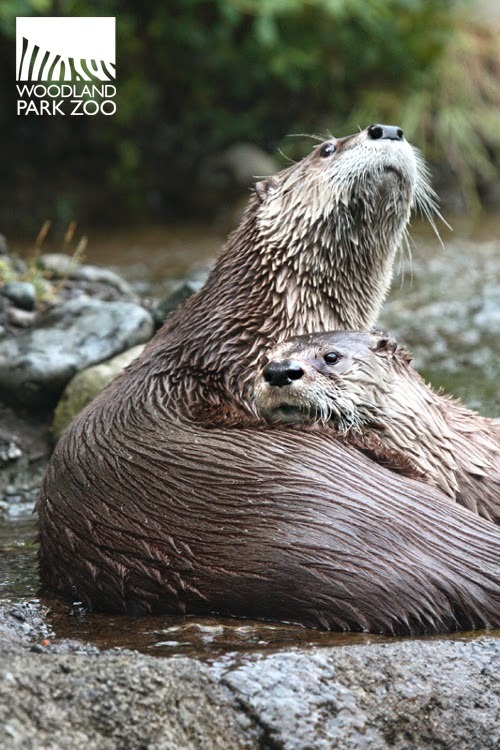 To help Woodland Park Zoo contribute information to the captive breeding, husbandry and public awareness of the river otter, you can adopt an otter through our ZooParent program.